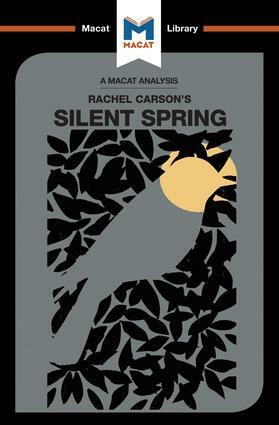 Rachel Carson’s 1962 Silent Spring is one of the few books that can claim to be epoch-making. Its closely reasoned attack on the use of pesticides in American agriculture helped thrust environmental consciousness to the fore of modern politics and policy, creating the regulatory landscape we know today. The book is also a monument to the power of closely reasoned argument – built from well organised and carefully evidenced points that are not merely persuasive, but designed to be irrefutable. Indeed, it had to be: upon its publication, the chemical industry utilised all its resources to attempt to discredit both Silent Spring and Carson herself – to no avail. The central argument of the book is that the indiscriminate use of pesticides encouraged by post-war advances in agriculture and chemistry was deeply harmful to plants, animals and the whole environment, with devastating effects that went far beyond protecting crops. At the time, the argument directly contradicted government policy and scientific orthodoxy – and many studies that corroborated Carson’s views were deliberately suppressed by hostile business interests. Carson, however, gathered, organised and set out the evidence in Silent Spring in a way that proved her contentions without a doubt. While environmental battles still rage, few now deny the strength and persuasiveness of her reasoning.